She did it! The 16-year-old from New Zealand did it. “Royals” is so popular on the radio that it has dethroned Miley’s naked breakup anthem. 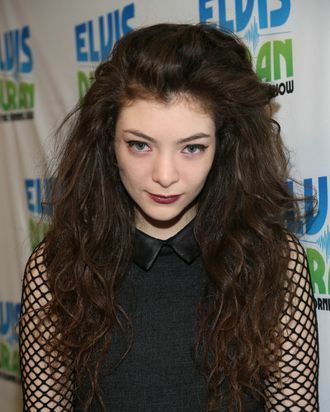 Lorde is the youngest artist to have a No. 1 since 1987 (that was Tiffany, with “I Think We’re Alone Now”). Anyway, celebrate by not throwing your hands up in the air and/or not caring at all. It is what Lorde would want.